SIT 93 Vaali - Say What. Released on Monday 24th February 2014. 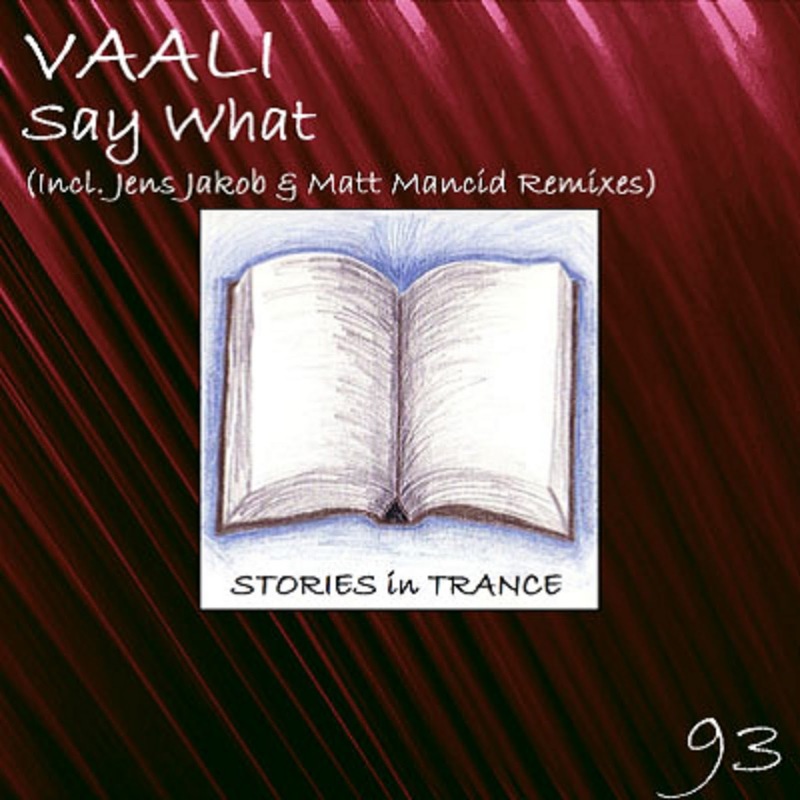 This is Stories In Trance, and here we present to you SIT 93 by Vaali with the three track single Say What. Russian producer Vaali (Arthur Valiev) made his production debut with his fabulous track My City (SIT #81) and since then has backed that up with several excellent tracks and remixes- most recently offering up his three track Stars EP (SIT #91). In this original every second counts, as now is becoming Vaali's trademark, in this short but truly superb track. The sublime lead melody is backed up with sensational mids, underpinned with great effect by a driving kick making this another fine original from a very creative and talented producer. Next up is the Jens Jakob remix. Dane Jens made his debut on Stories In Trance with his fantastic track Euphorica (SIT #78) followed by his second original, Grey Cloud (SIT #85). This time Jens turns his abilities to a remix with awesome results. This remix has plenty of energy, power and emotion whilst using the lead melody to stunning effect. The Jens Jakob remix is a real piece of uplifting trance gold and a great variation on the original. The final part of this release is the Matt Mancid remix. Hailing from Germany, Matt is on remix duty for the third time following his debut for us with an impressive remix of David Surok's Avalon (SIT #62) and sandwiched between that and this was his first original on Stories In Trance, the superbly emotive Anti-Climax (SIT #65) which was book ended by his thrilling remix of Derrick Meyer’s Nostalgia (SIT #72). This remix is a perfect representation of his talents; a beautiful, warm and fantastically well produced piece of trance that once again gives a brilliant alternative to the original.